This podcast is a recording of the opening remarks by Professor Bob Hill at an information night for teachers held on October 26th. Professor Hill is the executive dean of the faculty of sciences. His remarks give background to the iPad Enhanced Learning in First-year Sciences (ELFS) plan and address the ‘ten big questions’ around which the faculty will structure its offerings. More information on the iPad ELFS plan and the information night available on the faculty website. Are ‘refined’ carbohydrates worse than saturated fat? The take home message from health authorities for the past three decades has been ‘eat less fat, especially saturated fat’. Now a new paradigm is arising: that the processed carbohydrates which replaced the energy from fat, may increase the risk of obesity, diabetes and heart disease more so than fat – a finding that has enormous implications for the Australian food and agricultural industry. Both quantity and quality of carbohydrate are relevant to the debate. The rate of digestion and absorption of carbohydrates is assessed as their ‘glycemic index’ (GI). This lecture will focus on well-designed studies demonstrating that carbohydrates that are slowly digested and absorbed (i.e. low GI carbs) are good for health and reduce risk factors associated with lifestyle-related diseases such as diabetes. Improving carbohydrate quality is therefore a better approach to health and sustainability issues than ‘ditching the carbs’. 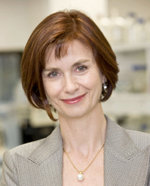 Professor Jennie Brand-Miller is recognised for her work on carbohydrates and diabetes. Her books under the series title The New Glucose Revolution have sold over 3.5 million copies worldwide and appeared in 12 languages. The inaugural Innovation in Food Lecture was established to recognise individuals making significant research advances in the areas of food, health and nutrition. The Lecture was named for the world class FOODplus Research Centre which is a joint venture between the Functional Food group at the University of Adelaide’s Waite Campus and the Child Nutrition Research Centre at the Women’s and Children’s Health Research Institute. FOODplus is undertaking research linking sustainable agriculture, food and nutrition to improve human health. This research fosters economic relationships with industry and coal-face agriculture, creates research sustainability and translates nutrition research into food products with real health outcomes. The ASELL Science Workshop was held on the 6th-9th of April 2010 at the University of Adelaide. It involved the disciplines biology, chemistry and physics. Universities were invited to send 2-person teams (one academic and one student). Thes workshop included a mixture of discussions and laboratory-based activities. Each team showcased one experiment from its home institution. Up to 4 teams from each institution per discipline were allowed to attend. Institutions were encouraged to submit experiments they considered good or experiments that needed major improvement. Listen to the podcast from the workshop. It may have been Friday 13th and 40 degrees outside but the atmosphere in the Benham lecture theatre was one of quiet anticipation. 8 slightly nervous Honours students presented their final seminars to their peers, staff and supporters. Questions were handled with aplomb and there was mass sigh of relief once if was all over was! Congratulations to Jess, Belinda, Corey, Chris, Adam, Liz, Sarah and Imogen! The Department of Trade and Economic Development (DTED) have launched their campaign “There’s more to it“. The campaign is designed to promote career pathways into professional, para-professional and trade roles in the defence, resources and technology industries and is targeted at year 9 & 10s state-wide. Kate Selway is a graduate of the University of Adelaide and a winner of the 2008 Young Achiever of the Year award. She is currently working as a Research Associate in the School of Earth and Environmental Sciences. For anyone wanting information about studying Animal Science or Veterinary Science, the Roseworthy campus is having its annual Open Day this Sunday 11am – 3pm. There will be plenty of experts around to answer your questions about these degrees, as well as showcasing the exciting research and teaching facilities! You can take a tour and see the sights, including the construction of the School of Animal and Veterinary Sciences teaching hospital. For more information about how to get to Roseworthy, as well as a campus map, please visit the campus page. 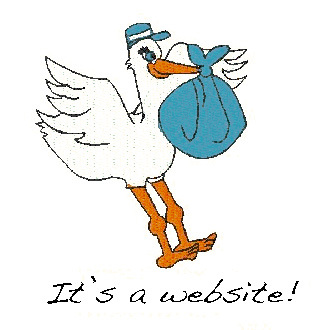 Congratulations to the school of Agriculture Food and Wine – It’s a website! Please check them out – and let us know what you think!! OPEN DAY 2009 – What a day! Well, Open Day is over for another year. 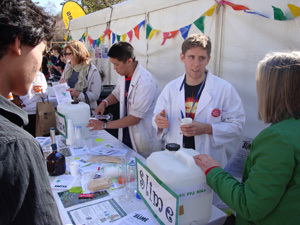 Our 2009 event saw huge numbers of visitors come to the Sciences Marquee to try some exciting hands-on activities. And information was distributed throughout the day about degree and career options for people considering University study. All of the Open Day talks will soon be available for download as both podcasts or vodcasts (with the powerpoint slide presentations) – stay tuned! Anyone seeking information about studying science at the University of Adelaide is welcomed to contact the Faculty of Sciences too! 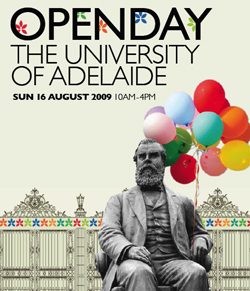 The University of Adelaide Open Day is this Sunday the 16th of August! Open Day offers a variety of information, colour and entertainment right across the campus! From the full suite of academic talks and displays to the Short Film Festival. There’ll be music and food, sports and club demonstrations, drama and orchestral rehearsals and plenty of SCIENCE!! The North Tce Campus will be open from 10am-4pm. Download the booklet outlining all the events, and we look forward to seeing you on Sunday.